The best way to keep your Perfect Sandwich fresh and clean is washing it by hand. We recommend rinsing your Perfect Sandwich thoroughly under the faucet with warm, soapy water at the end of every use and letting it air dry with the compartment removed and open. Before using for the first time, rinse the container thoroughly with soap and water. Perfect Sandwich containers are dishwasher safe and can be placed fully open on the top rack of your dishwasher. The PerfectCHILL cooling pack however, must not be exposed to heat and therefore MUST be handwashed. 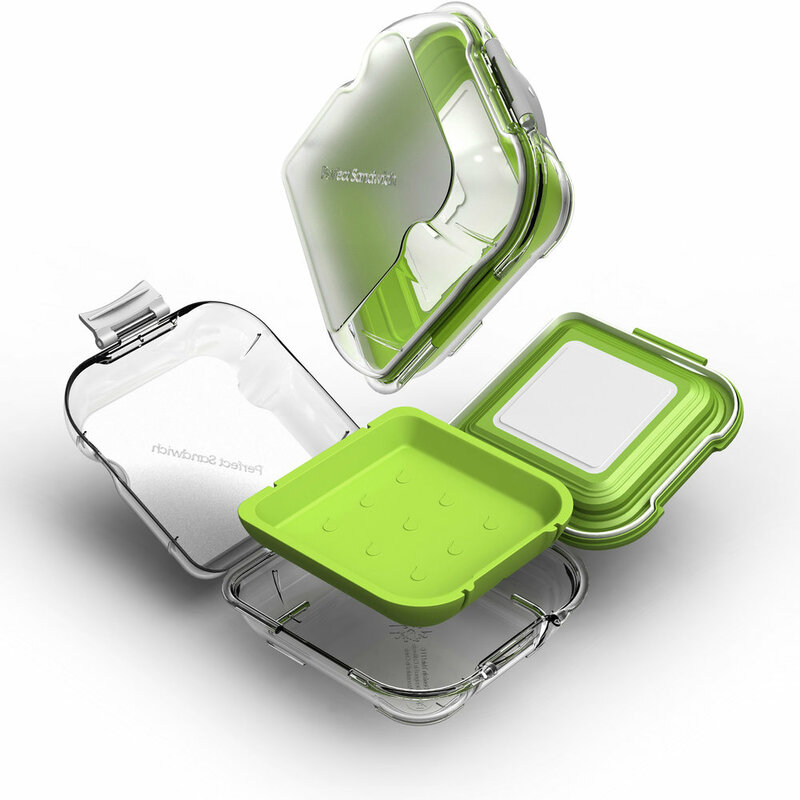 PerfectCHILL cooling pack is NOT microwave safe and should NEVER be placed in the microwave. Perfect Sandwich is suitable for bread, any fresh ingredient, any meat or other protein of choice. Overstuffing the Perfect Sandwich container may inhibit a proper seal between the bread area and the fresh ingredients area. Always store Perfect Sandwich in a cool, dry area of your house or kitchen. Always check that the outside latch of Perfect Sandwich container is secure during transport. Take care when using with warm ingredients. We do not recommend for hot sandwiches as the PerfectCHILL cooling pack CANNOT be put in the microwave or in the oven. Do not use hard-bristled brushes, steel wool or other hard abrasives to clean your Perfect Sandwich. Perfect Sandwich containers are made of durable polymers, can be used multiple times and recyclable at the end of their very long lives. Perfect Sandwich has a sturdy construction that will last the user for several years.